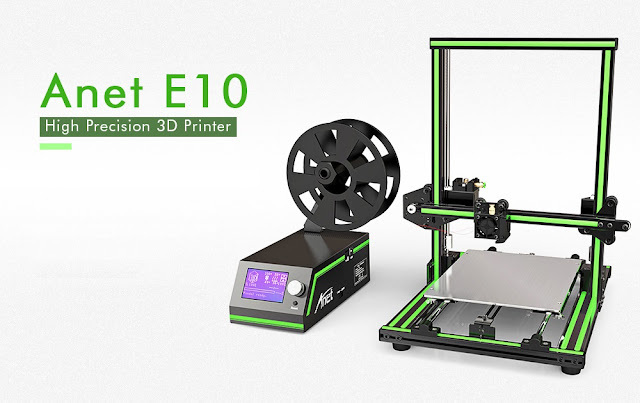 We have seen 3D printers prices come down over the past couple of years, but sometimes you may not mind paying a bit more to have a faster and easier setup process, like you'll have with the new Anet E10. A while back we've talked about the Anet A8 (that you can get for just $155) which was the 3D printer of choice for anyone wanting to enter this new world without paying a fortune. It still is a great printer, but it requires you to assemble it from scratch, which may put off some of people. Well... the new Anet E10 costs about twice as much, but it makes things much easier. 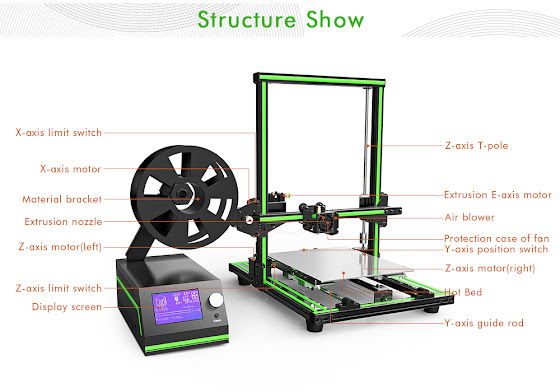 Its structure is similar to the Creality 3D CR-10, with a separate controller/display box - that's the printer that was considered to be one of the best low-cost 3D printers ever, even though it costs $491. So... when you consider the Anet E10 copies all of its advantages, but can be yours for just $299... you'll understand why so many people are interested in it. Though you could buy two A8 3D printers, this one has an added advantage. Instead of requiring hours of careful assembly, it comes nearly pre-assembled, taking just 8 easy steps to be put back together in working order. Be sure to check out the extra bonus options that allow you to get a 3D printer filament spool for just $0.99, as well as 5 nozzle heads. All in call, the Anet E10 for $299 is still quite a bargain when it comes to buying one of the best low-cost 3D printers on the market.